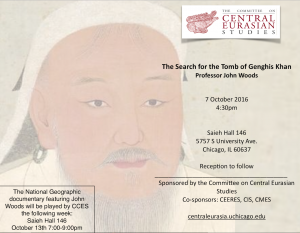 Join the Committee on Central Eurasian Studies as we hear an account from Professor John Woods about his quest to find the resting place of the “khan of all khans.” We will be meeting in Saieh Hall, room 146 on October 7th at 4:30pm. Following the lecture, we will have a reception in Pick Hall. 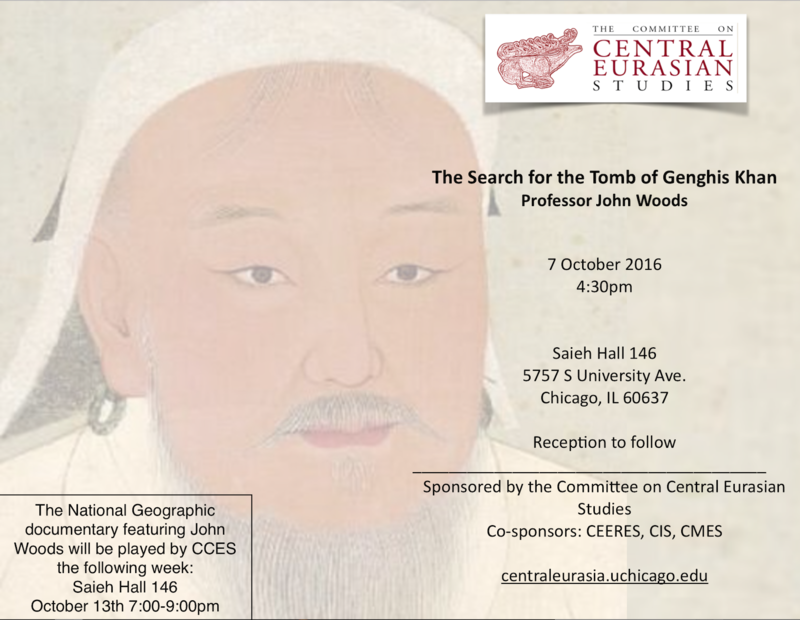 This lecture is also going to be followed up by a CCES-sponsored showing of the documentary of Professor Wood’s expedition. We will be showing the documentary of October 13th from 7:00-9:00pm. We hope that you will join us at both events. The Silk Road Ensemble was formed in 2000 by Yo-Yo Ma. Made up of performers and composers from more than 20 countries, this ensemble was heralded as a “roving musical laboratory without walls” by the Boston Globe. They are also the subject of the documentary The Music of Strangers: Yo-Yo Ma and the Silk Road Ensemble. The Silk Road Ensemble are bringing their many musical talents to Chicago this summer and playing at Ravinia Pavilion. They will be playing Tuesday August 16th, at 8:00PM CDT. You can purchase tickets at www.ravinia.org. Don’t miss this wonderful opportunity to see some incredible Central Asian artists!